Posted October 16, 2017 at 3:25 pm & filed under News, Top Tips. With its recent publication of the 2018 Cask Report, Cask Marque has laid out in quite exhaustive detail the evidence for investing in the future of cask ale and the current tide of opinion in the on-trade industry. At Beer Piper, we’ve dedicated more than 30 years to saving labour for busy publicans and in that spirit, we’ve summarised the full 28-page report for you right here! Let’s get the bad news dealt with straight away. Overall, beer sales are stalling somewhat which will not come as a great surprise to those on the business side of the bar. Closures of wet-led pubs have continued with grim regularity over the last year and more than 5000 pubs in total in the last six years, however, there is a chink of optimism to be gleaned from the statistics and research. Lager sales, down 11%, are being attributed to a move towards cask beer among lager drinkers; 38% of craft beer drinkers claim to have migrated from lager which traditionally forms the lion’s share of the beer market. According to the surveys, two thirds of businesses that have cask central to their offering report real ale sales increasing. Cask is proving to be a persuasive tool when convincing consumers of the quality of all stocked product in, what Cask Marque terms, a “halo effect”. Spending an average of 30% more than the average consumer, the cask ale drinker is a discerning creature and can easily be lost forever if served poor quality beer. 40% drink in a pub more than once a week which can contribute significantly to your turnover and means that they are likely to be knowledgeable about the product and its providence. It has also been found that the majority do not have a specific budget in mind when heading out and are also more likely to use the pub for other recreational activities than simply nipping out for a pint. Food is an important element in attracting cask ale drinkers to your establishment for meals with family and friends or entertaining colleagues so the provision of a solid menu with beautifully cellared beer is critical to your success. Rightly or wrongly – consumer perception is key here – cask is more readily associated in the minds of consumers with the craft movement than keg. Brewery size and scale of production are also means by which the epithet ‘craft’ is attributed – if the brewery is too large, it’s not craft. We think that illustrious companies such as Brewdog would beg to differ! As we wrote in this previous blog post, a good local beer from a small brewery will have cask drinkers beating a path to your door. There are arguments presented for premiumisation – sticking the prices up to you and me – but that doesn’t mean cask drinkers in search of a premium experience are going to give publicans carte blanche to charge what they like. What it does offer is the opportunity to think about how the stronger, sometimes small batch, certainly more ‘craft’ beers can be priced accordingly. The entry level session ale must remain and has to form a cogent part of an overall pricing structure, but offering two thirds and half pint options gives the publican room for manoeuvre for pricing on an appropriate premium level aimed at those prepared to pay more for something exceptional in terms of both beer and service. Of survey respondents, 94% claim that atmosphere is a key element in their decision of where to drink. Other factors including the way that the establishment has been furnished, service standards, including staff knowledge, and how well the beer has been cellared will naturally impact how successful you are in the long term; 60% of consumers were annoyed by being served beer in a warm glass and 40% will avoid a pub where they had a poor pint. Not knowing how to correctly treat cask ale is not an option if pubs are to survive. Some publicans we have met are genuinely afraid to stock cask ale simply owing to the effort involved. Our long service to the pub trade means that we have seen trends come and go, consumer fads fade and many a good pub fall victim to changes in demand but good management that insists on top quality beer will never be out of fashion. 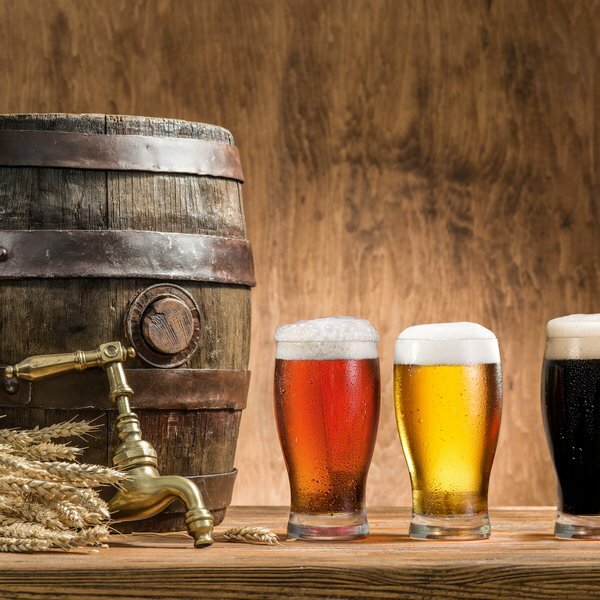 Our cellar experience and the development of our state-of-the-art beer line cleaning products gives you a real edge when serving an increasingly selective and judicious clientele. Give us a call today to discover how you can retain your reputation and secure your future profits.